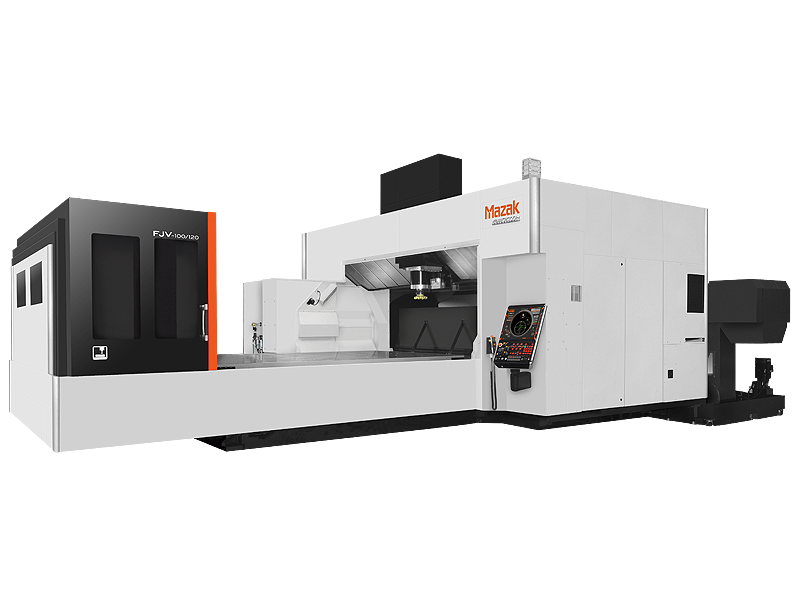 Large, High Accuracy Double-Column Vertical Machining Centre. Machining of large, flat workpieces, effective width between columns: 2500mm. High productivity thanks to high output /high torque spindle – standard spindle 10000 rpm. Easy operation, thanks to a number of ergonomic features and the MAZATROL MATRIX control.